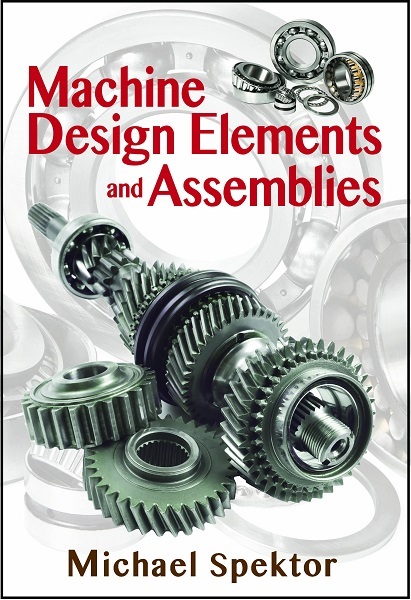 The academic course of Machine Design Elements and Assemblies (a.k.a. “Machine Design,” “Mechanical Engineering Design,” etc.) is based on the fundamentals of several different core disciplines, and should prepare students to meet challenges associated with solving real-life mechanical engineering design problems commonly found in industry. Other works focus primarily on verifying calculations of existing machine elements in isolation, while this textbook goes beyond and includes the design calculations necessary for determining the specifications of elements for new assemblies, and accounting for the interaction between them. Addresses the design considerations associated with the functionality of a full assembly. Most chapters end with a design project that gets progressively more complex. Purposely does not include numerous reviews of prerequisite materials, resulting in a more concise, more practical, and far less expensive product for students, engineers, and professors. Boasts 120 problems and answers that can be assigned as homework. Michael Spektor is a retired professor from Oregon Institute of Technology (OIT) with more than 50 years of experience in Mechanical Engineering for both industry and academia, both in the US and Europe. He launched a Bachelor's degree completion program in Manufacturing Engineering Technology at Boeing, and then introduced a Master's program a few years later. He served as Director of this program, at the same time as teaching undergraduate and graduate courses in Mechanical Engineering, including Machine Elements.